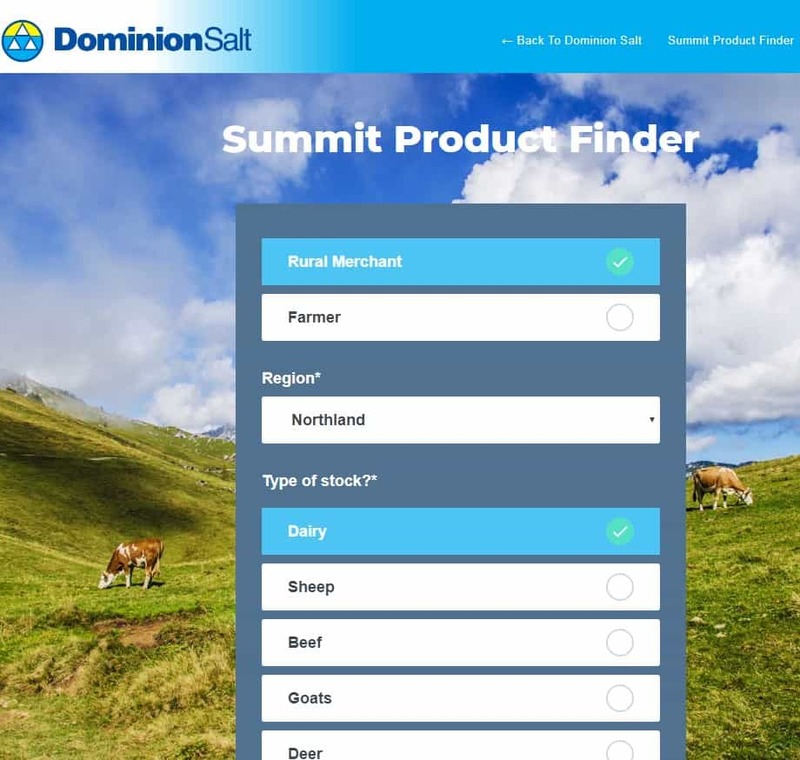 As our product range continues to grow, we have developed a new tool on our website to assist merchant store staff and farmers with finding the type of product you are looking for. 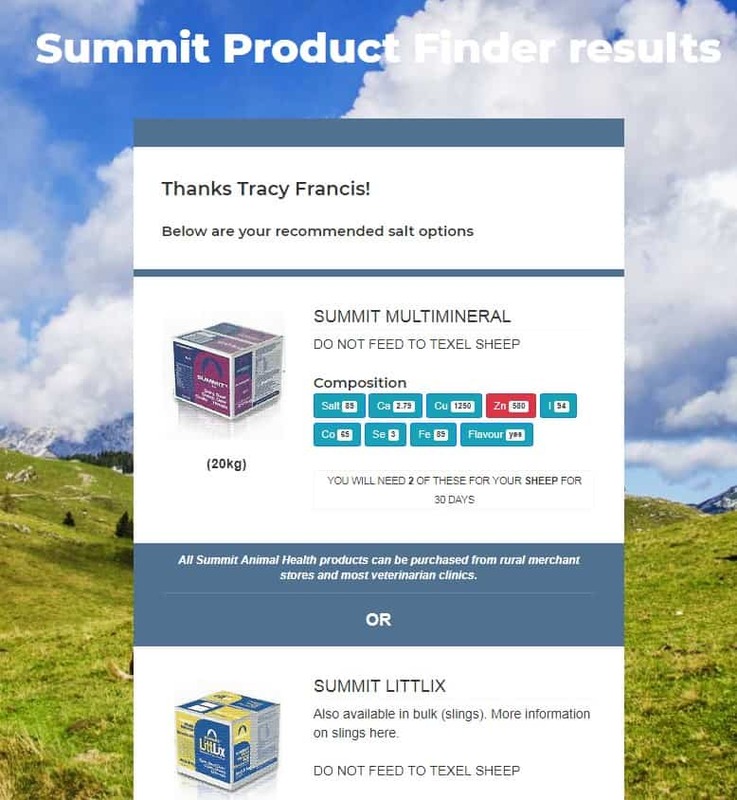 The Summit Product Finder will appear as a pop up screen once you have landed on the Animal Nutrition and Agriculture page. 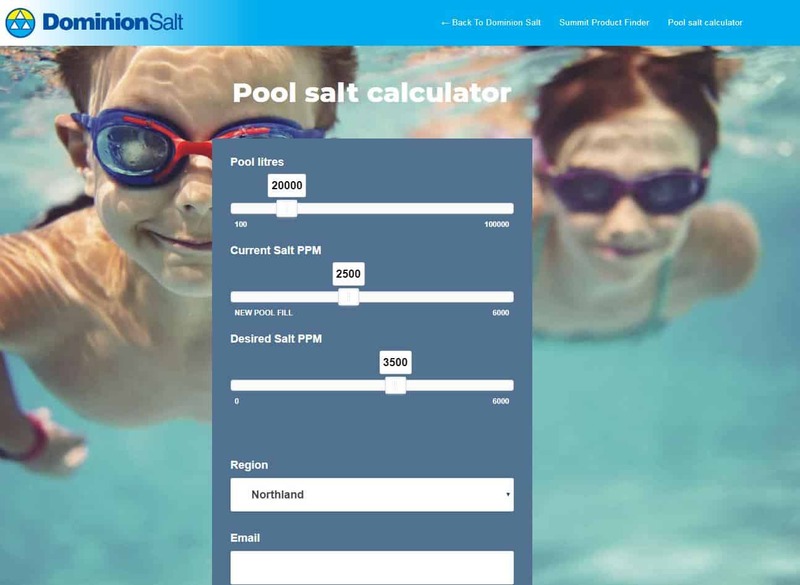 The pop up menu will appear on the left of the screen and if you click on the image, it will expand to request more information to calculate your search criteria. Alternatively you can access this tool under the Resources drop down menu at the top of the page. 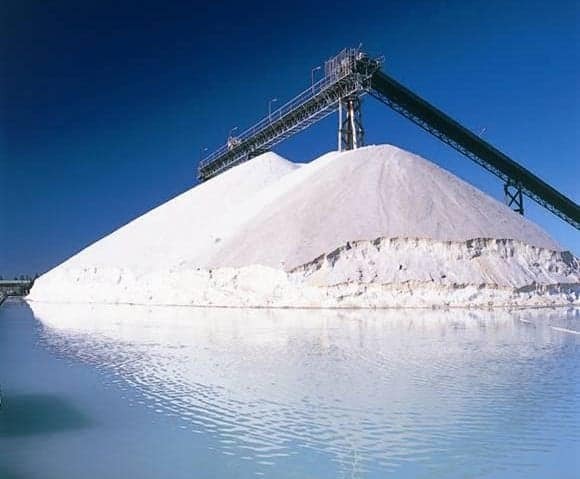 Our aim has been to keep the search simple, basing the criteria on the animal and the type of mineral required. 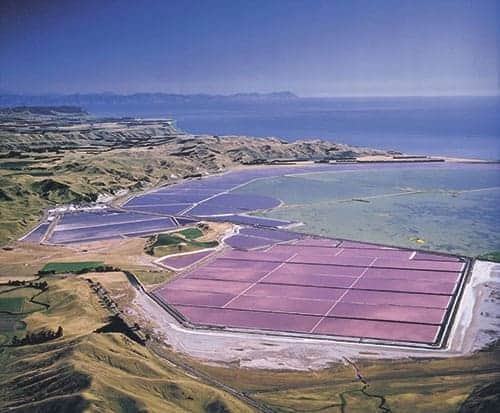 Additional to this, we have developed a second calculator for our water treatment products which includes Summit HydroSoft. 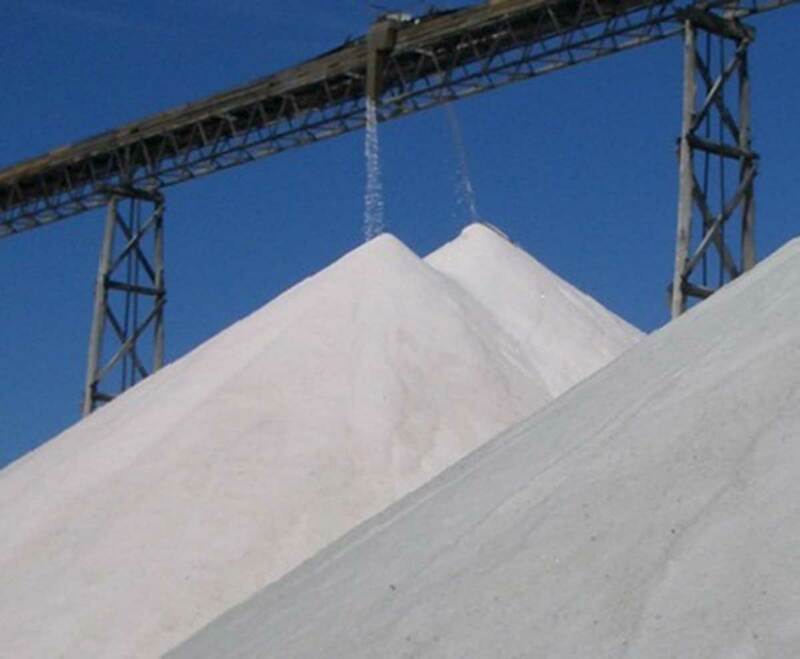 This calculates the number of bags required for a salt water chlorinator, based on your current and desired PPM. 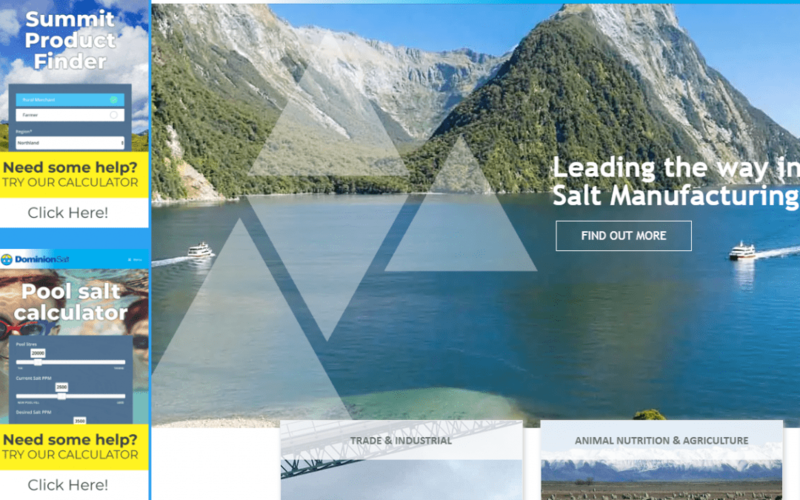 This also appears as a pop up menu when you land on our website, and also sits under the Resources drop down menu.